Air condition systems are judged by their efficiency in performance, i.e. heating, energy efficiency and cooling efficiency. 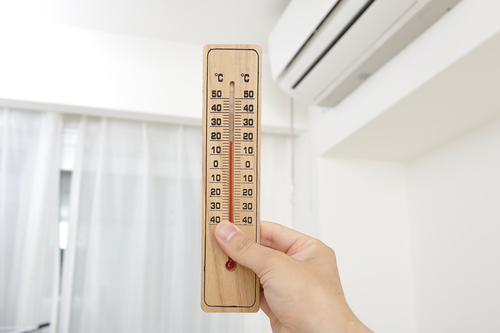 Here are some of the factors to consider when buying air conditioners in Singapore. Air conditioners that work efficiently should have evaporative coolers which keep the aircons dry preventing risk of rusting and causing rust. Filters found in air conditioners require thorough cleaning frequently, depending on how dusty the house is. Failure to clean efficiently will cause the air conditioner to stop working. Also consider air conditioning devices that have condensers which can be cleaned easily by wiping or brushing off so that your house can have undisturbed air flow. Ensure you also pick air conditioning devices that have lonisers which ensure that the air conditioner is always clean by reducing bad odors in the air. 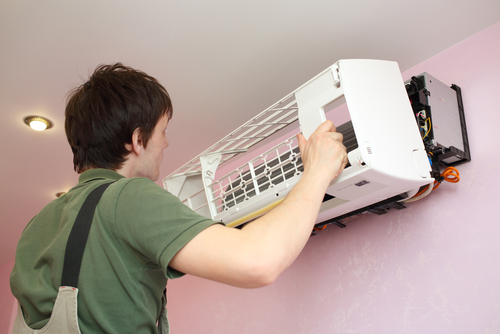 Ensure that your air conditioner has an inverter unit which does not take up high power usage. Most inverters alter the speed of the air conditioner depending on the response to the cooling demand. Some air conditioners have inverters that over speed hence consuming a lot of power. One should also check the energy rating of an air conditioner before purchasing. This is simply because all air conditioners come with an energy rating sticker which uses stars to value their efficiency whereby more stars means that the air conditioner is more efficient. Air conditioners that are ducted are those that are installed in the ceiling or floor. Installing these types of air conditioners can be very costly but they are preferred by many because the whole package comes with a bunch of benefits. Ducted air conditioners have few electronic parts and few risks of developing the refrigerant leakages. However, these systems provide less accurate temperature control. Anyone looking to buy a good air conditioner must consider brands that are most reliable and trusted in the market. 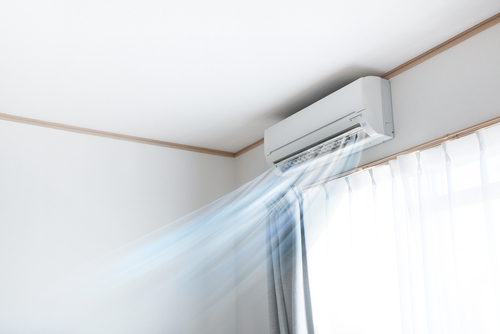 Brands such as Daikin, Panasonic and Mitsubishi are generally the most efficient options. The brands mentioned offers easy servicing but may also include additional products of installation; but this does not hinder them from providing the best performance. The best air conditioners have sensors which have the ability to monitor room temperature whenever there are any changes that require adjustments. Air conditioners that have timers aid in setting the air condition right even when you are not around thus providing a cool environment in the house just before you arrive home. When buying an air conditioner, ensure that it does not have high noise levels which can ruin your sleep or interfere with your working because of the noise. Before buying an air conditioner, make sure you consider the size because, using air conditioners that do not fit the capacity of a room is a total waste of electricity. Think about the size of the room you are going to install the aircon before buying it; because getting a size that does not suit the room will require switching the aircon on and off, which is a total waste of time and energy. Mitsubishi air conditioners come in different designs and sizes to fit the users’ requirements. These are some of the pros and cons of using Mitsubishi Air conditioners. - Mitsubishi aircons are energy efficient. They have split heating and cooling systems that are more resourceful compared to other air conditioners. - The Mitsubishi air conditioners have legit installation systems. The manufacturer provides professionals who are licensed and insured to deal with installing the aircons. - Comfort control. Mitsubishi aircons have the ability of delivering comfort by effectively cooling the house depending on the space and number of rooms. - They have an advanced compressor which ensures that the temperatures are kept at the right level by automatically detecting it and making necessary changes. - Compared to most air conditioner brands available, the Mitsubishi air conditioners are more flexible which makes the regulation of temperature easier. - The Mitsubishi aircons require heavy investment because they are quite expensive compared to other brands. - Self installation might be hectic therefore require extra costs of installation. Installing Panasonic air conditioners into the house is beneficial to users mainly because of the following reasons. - The air conditioners provide comfort in the home by maintaining the required indoor temperature for all rooms in your house. They also have the ability to control humidity in the home thus eliminating adhesiveness. The Panasonic aircons have a dry mode which reduces humidity without altering the air condition in a room. - Panasonic air conditioners are less noisy. They have features e.g. pedestal fans which ensure that the user has a good night sleep because they are much quieter than other air conditioning systems. This way, they are able to eliminate any noise pollution. - The Panasonic air conditioners have the ability to keep out insects that cause nuisance in the house and also distraction to the users by biting them when they are asleep at night. - These air conditioners have a specific filtration system that purifies the air coming into the room by reducing bacteria, dust, pet fur, pollen and insects. - Panasonic aircons save on energy because they have a high energy heat pump technology which consumes less than eighty per cent of power from heating. - Apart from its attractive features, Panasonic aicons are not as efficient as the seller insists because of their thermo stats which are usually faulty. It is famously known for having the best air conditioners. Here are the pros and cons of Daikin air conditioners. - Daikin aircons have the most enhanced inverters which do not consume as much energy as other regular air conditioners. Using the Daikin air conditioners saves up to 30% of your total power consumption. - Daikin air conditioners are cheap and affordable. Investing in Daikin air conditioners saves you a lot of money because the aircons are made of high quality material. Their prices are also negotiable. - Daikin air conditioners come with warranty that guarantees the user security whenever the aircon gets damaged and require repair. - Daikin air conditioners are only available from accredited stockiest. When choosing an air conditioning system, ensure that the design and style will match perfectly with your décor. You can opt for online research about air conditioners before finally deciding on which one to buy. There have been cases of unwanted illnesses developing due to faults that aircons may trigger, e. g developing bacterial infections especially for people with health conditions such as diabetes and chronic diseases; therefore buyers are advised to choose the most reliable brands to avoid taking risks.